If Dawkins' childish reluctance to debate actual professionals on the topics he debates wasn't sign enough of his philosophical illiteracy, he really goes out of his way in his books The God Delusion and The Blind Watchmaker to make it even more abundantly clear. What's so bad about the aforementioned quote by Dawkins is that so many atheists are under the enormously misinformed notion that such logic is valid! They regurgitate similar logical failures with petty smirks as if they have just uttered the profound and anxiously await the impending intellectual retreat of their religious victim. When I hear such arguments, I am immediately aware of the logical immaturity and philosophical incompetence of the person making them. When I conclude that the universe was designed by a cosmic designer, have I REALLY explained "precisely" nothing? If the designer is left unexplained, have we really made no progress? This is rationally absurd, for it necessarily leads to an infinite regress of explanations, that even Dawkins' precious theory of evolution by natural selection must succumb to. For instance, if I dig a hole in my backyard and excavate a shoe box with the skeletal remains of a cat, I may rightly posit that somebody buried the feline. But have I explained precisely nothing about this box simply because my explanation leaves the person who buried it unexplained...? It borders outright stupidity to think so. ...if in order to recognize an explanation as the best you have to have an explanation of the explanation, that leads immediately to an infinite regress. You’d need to have an explanation of the explanation of the explanation and so on… to infinity. You would never have an explanation of anything, which would destroy science. 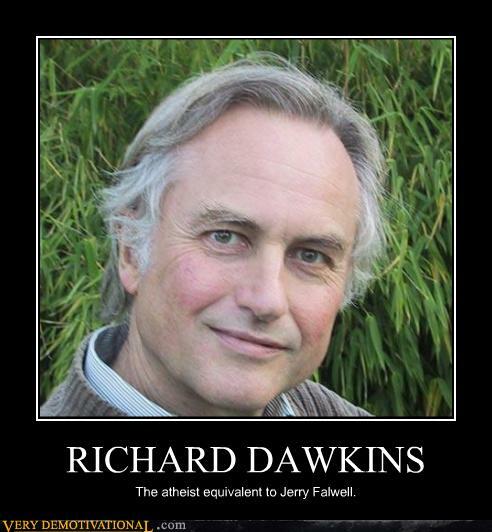 [So] Dawkins’ principle, if adopted, would actually be completely destructive of science. That’s how inept this argument is.